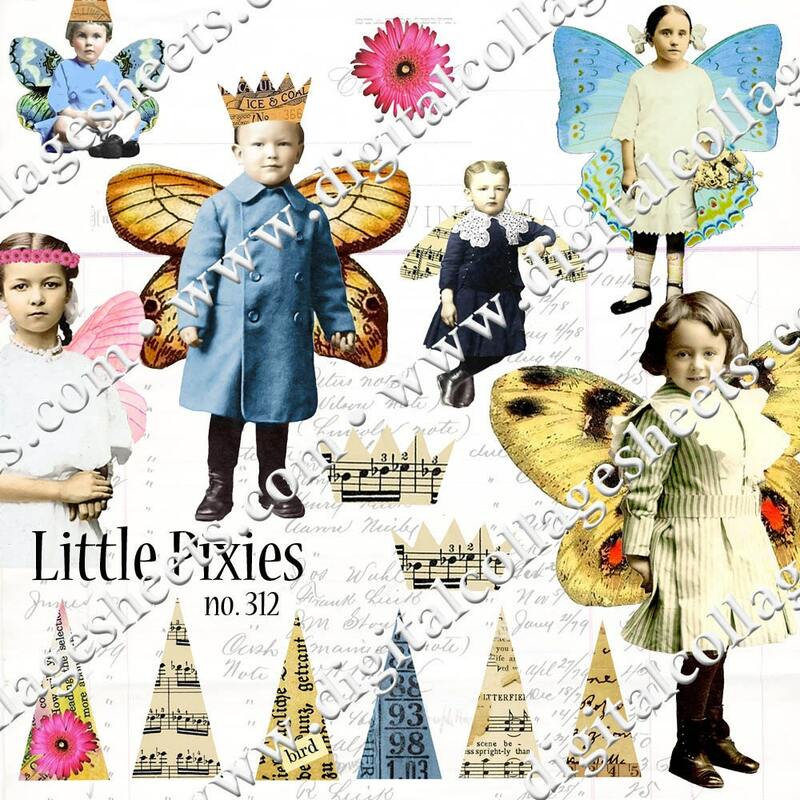 Sheet contains 6 little pixies sourced from antique photos. All pixies are tinted. 5 are full bodies and 1 is cut off at the hip. Sitting boy in blue measures 3.5"
Boy standing with gold wings measures 3 3/8"